Keystone Lofts feature authentic warehouse-style lofts with modern luxury appointments like hardwoods, whirlpool tubs and granite kitchen counters. 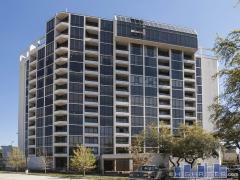 This building is in a fantastic location in downtown with Minute Maid Park views from the rooftop deck. Have any comments or questions about Keystone Lofts? Ask your question and/or share your thoughts about this Building.